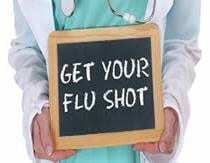 The Uncas Health District will be hosting several flu clinics at their office location for 6 months of age and up. The dates and times are listed below. We are located at 401 West Thames Street on the Uncas on Thames Campus in the Campbell building. Once entering the campus, proceed up the long driveway until you reach the fork in the road – bear LEFT at the fork. Proceed straight through 2 STOP signs. At the Third STOP Sign, take an immediate right into the small parking lot. You should now see an entrance that says “CSE Credit Union”. Enter those doors and proceed down the wheelchair ramp. Turn RIGHT and proceed to the end of the hallway. Our office is located across from the elevators.